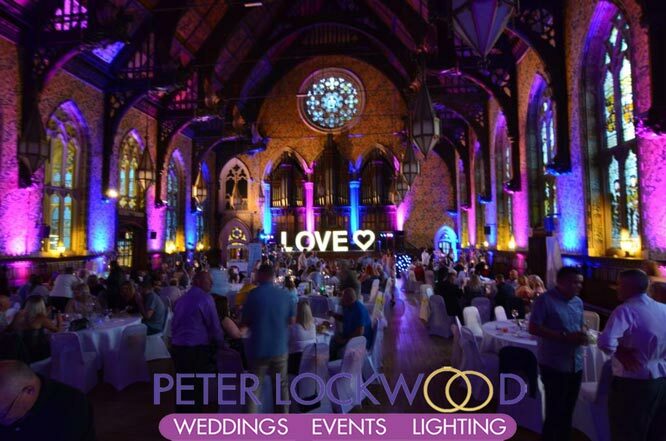 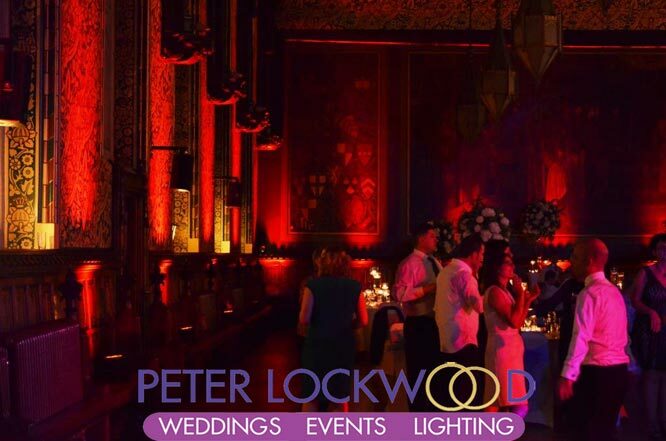 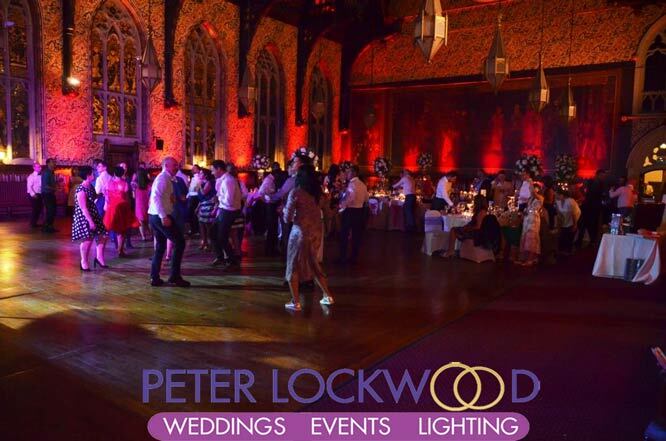 Rochdale Town Hall Wedding UpLighting. 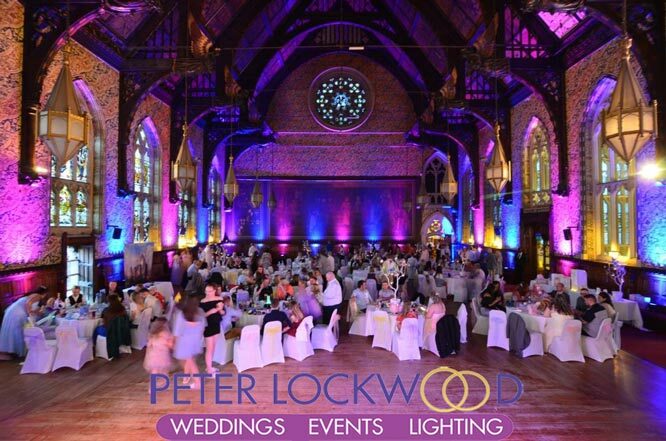 Rochdale’s stunning grade one Victorian Gothic town hall is renowned worldwide for its unique architecture. 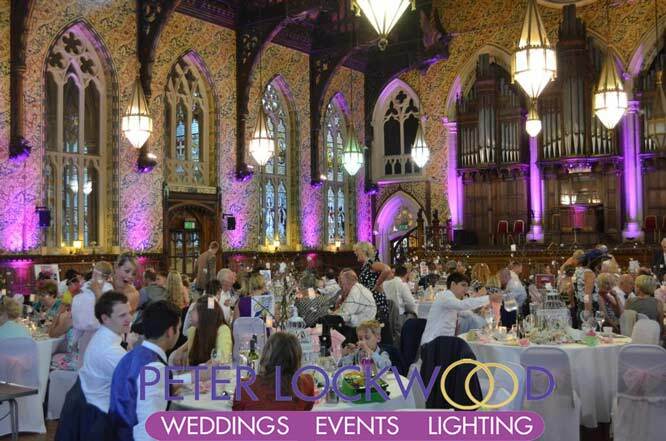 Rochdale Town Hall is a popular wedding venue that will provide lasting memories for years to come. 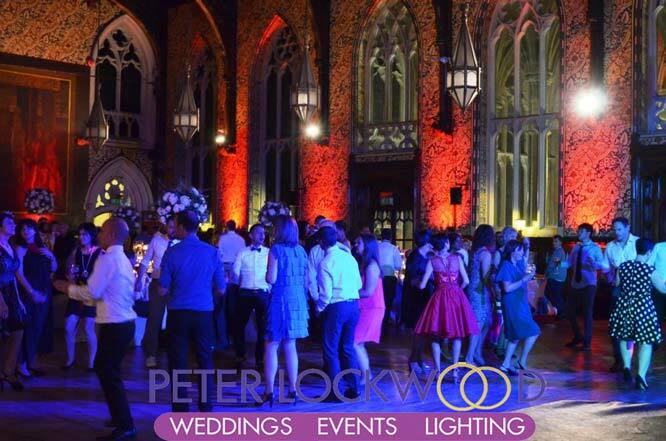 It is one of a few buildings where the bride can make a grand entrance by walking down a fantastic staircase. 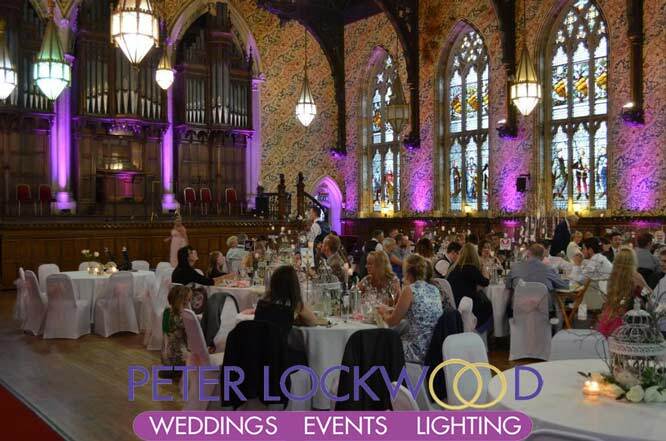 My wedding uplighting can complement the stunning architecture of Rochdale Town Hall. 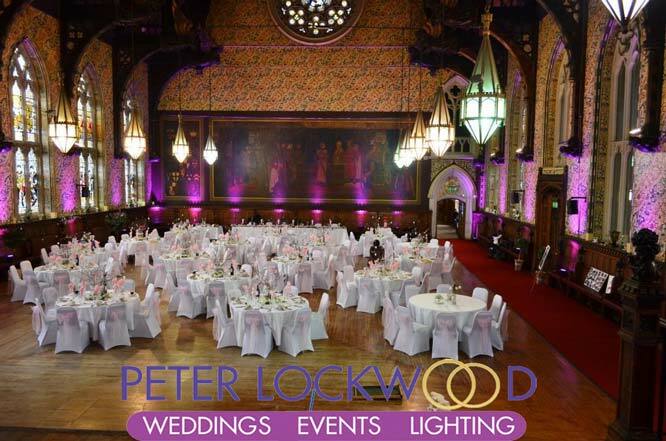 At this wedding I provides 30 led dusty pink wedding uplights all around the great hall, all the pictures was taken during the daytime the great hall would have looked even more stunning in the evening.